An EU court has ruled that Skype’s name - a brand now owned by Microsoft - is too similar to the British broadcaster Sky, in a second blow to Microsoft in legal battles with the Rupert Murdoch’s company. 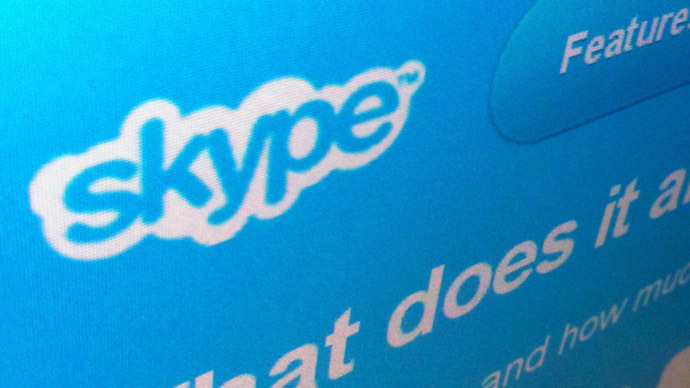 The ruling on Tuesday prevents Skype registering a trademark for its voice, video and text chat services and its light blue bulb logo in the EU. Judges at the General Court of the European Union said: “Conceptually, the figurative element conveys no concept, except perhaps that of a cloud. [That] would further increase the likelihood of the element 'Sky' being recognized within the word element 'Skype', for clouds are to be found 'in the sky' and thus may readily be associated with the word 'sky'." Microsoft said it intends to appeal the decision. The US company decided to challenge an earlier ruling from the European Union Office for Harmonization of Internal Markets, which followed a 2005 complaint by Sky, formerly known as British Sky Broadcasting, that Skype’s name was too similar to be granted an EU-wide trade mark. Also in 2014, Microsoft was forced to change the name of its cloud storage service from SkyDrive to OneDrive after the High Court in London ruled that Sky’s brand had been infringed. But a spokesman for Microsoft said the decision does not require them to change the Skype name in any way. "The case was not a legal challenge to Skype's use of the mark, it was only against the registration. We're confident that no confusion exists between these brands and services and will appeal. This decision does not require us to alter product names in any way," a spokesman for Microsoft told the BBC. Sky could now in theory try and get a licensing fee from Microsoft. But in a statement from the broadcaster no mention of this was made and it’s unlikelythis option will happen. "Sky notes today's decision from the General Court of the European Union. This relates to a long-running dispute with Skype over the extension of its trademark applications to cover a broad range of goods and services that overlap with Sky's own trademark registrations - including, but not limited to, TV related products and services. Our intention has been to protect the Sky brand with our research showing that similarities in name and logo have the potential to confuse customers," Sky said. This is not the first time that Sky has acted against other companies to protect its brand image and identity. In 2012 it threatened to sue the US company Livescribe which makes smartpens, but Livescribe decided not to fight the case and instead changed the name of the product for the UK market from the Sky Wifi pen to the Livescribe Wifi pen.